Database Systems Corp. (DSC) is a leading provider of contact center technology products including automated phone systems and call center software. DSC offers contact center outsourcing services using our secure data center located in Phoenix, Arizona. The DSC inbound contact center answers toll free phone calls using our internally developed interactive voice response (IVR) system that answers calls without an operator. 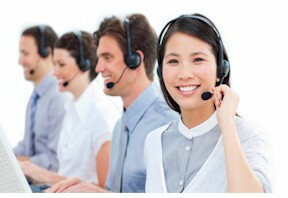 Our contact center also manages outbound dialing campaigns that include voice message broadcasting. This service allows you to automatically send recorded voice messages to customers, employees or the general public. Call centers are often thought of as a group of people neatly organized into rows, sitting beside their phones, answering customer calls. So what is a contact center? Traditionally, contact centers have been called call centers. The newer name – contact center – reflects the fact that more than just phone calls are being handled. Many call centers have evolved over the years to do much more than just answer phones. Some companies choose to separate the handling of customer contacts by medium. For instance, a company may establish a department for inbound calls, one for outbound calls, and a group for email. Some companies, especially smaller ones, opt to create “universal agents” who handle all contact types. DSC provides contact center products such as inbound and outbound phone systems along with software to manage the customer contact experience. For our service clients, DSC provides multiple contact centers to ensure reliable service and high quality support. And as designers of our own interactive voice response software, DSC is uniquely positioned to manage your inbound contact center service campaigns. This saves your organization both time and money. DSC can deliver comprehensive phone applications quickly - providing you with a competitive advantage in the marketplace. From external database access to web integration including XML messaging, DSC can provide custom phone applications in a short period of time. Contact DSC to learn more about our contact center services and phone systems. Database has been a leading provider of Contact Center Software for several decades. Starting with our CRM (Customer Relationship Management) software that was developed for large organizations, DSC has been a pioneer in the development of this technology. DSC now provides a full featured Softphone that works in conjunction with our call center phone systems. This call center software manages customer information and places it at the fingertips of your agents. Using screen pops and caller information, this extensive software can be embedded in your existing applications or can work with your web based software. DSC offers both an affordable and expandable contact center phone systems. These systems can perform both inbound call distribution as well as outbound message broadcasting campaigns. The WIZARD system is our entry level Call Center Phone System that supports up to 48 analog phone lines. 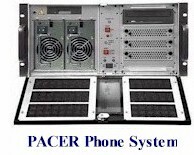 If your call center requires more lines to process inbound and outbound calls, our PACER call center phone system can be used to process calls using hundreds of digital phone lines. Contact DSC for a FREE analysis and quote and to learn more about our contact center phone systems, software and services.